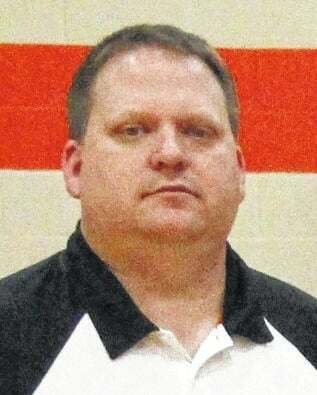 WEST ALEXANDRIA — Jeff Case was hired as Twin Valley South’s newest girls’ varsity basketball coach at the Twin Community Local School’s Board of Education meeting on Monday, July 20. “We know it’s a rebuilding process and we are mostly looking for someone with a vision for their program and someone who will bring basketball knowledge and a desire to get our girls more excited about playing basketball,” said South’s Athletic Director Tony Augspurger. Case boasts several years of coaching experience – serving 11 years as the varsity assistant and the head junior varsity coach for Troy Christian boys before coaching three years in that same role at Newton. He was also the head boys’ coach at Bradford for two seasons. In all his roles, he’s never coached a girls’ team. That doesn’t concern him at all, though. Case also understands that he is taking on a program that hasn’t had much success over the past several years, finishing with only three wins just a season ago. Case also said other types of successes are important to him as a high school coach as well. He is hoping his student-athletes grow in character and become better human beings. He added that he is a firm believer in the life lessons that basketball has to offer. He will look to employ an up-tempo style of basketball as well, where he hopes to bring an exciting brand to the Panthers program.